Metro Pacific Investments Corp. (MPIC) (PSE: MPI) has reported a 7% rise in consolidated core net income to PhP15.1 billion for the year ended December 31, 2018, mainly driven by: (i) an expanded power portfolio following further investment in Beacon Electric Asset Holdings Inc. in 2017; (ii) continuing traffic growth on all domestic roads; and (iii) steady volume growth coupled with inflation-linked tariff increases at Maynilad Water Service Inc.
Power accounted for PhP10.8 billion or 55% of net operating income; Tollroads contributed PhP4.4 billion or 23%; Water contributed PhP3.8 billion or 19%; the Hospitals Group provided PhP771 million or 4%; and the Rail, Logistics and Systems Group had a net loss of PhP248 million. Consolidated reported net income attributable to owners of the parent company rose 7% to PhP14.1 billion in 2018. Non-recurring expense amounted to PhP930 million primarily due to the net effect of a weaker peso, project write-downs, loan refinancing and provisions for asset impairment, compared with non-recurring expenses of PhP953 million in 2017. Progress on long-running differences with regulators over tariffs is helping MPIC’s bottom line. In water, following a constructive and professional rate rebasing, the company was awarded a 16.2% tariff increase – excluding inflation – to be implemented on a staggered basis. The MWSS also approved a 5.7% inflation-linked tariff increase on January 1, 2019. All this is good news, but unfortunately, the rebasing didn’t address the corporate income tax recovery issue inherited from the previous Administration, which the company continues to pursue. The record date for MPIC’s final 2018 dividend is 20th March 2019. The payment date is April 3, 2019. MPIC’s power business contributed PhP10.8 billion to core net income in 2018, an increase of 15% driven by the June 2017 purchase of the last 25% in Beacon Electric not already owned by MPIC and good results at MERALCO which more than offset a decline at Global Business Power Corp. (Global Power). MERALCO’s core net income for 2018 rose 11% to PhP22.4 billion, driven by a 5% increase in energy sales, slightly lower tariffs, and a reversal of provisions following the adoption of a new accounting standard. Energy sales rose across all customer classes. Residential growth was driven by expansion in the south section of MERALCO’s franchise while the commercial sector grew on continued expansion of the real estate, retail trade, and hotel sectors, with Industrial sector growth rooted in the healthy performance of the semiconductor, food & beverage, and rubber and plastics industries. Total revenues rose 8% to PhP304.5 billion on higher energy sales together with increased pass-through generation charges partly offset by customers transitioning to other retail electricity sellers. 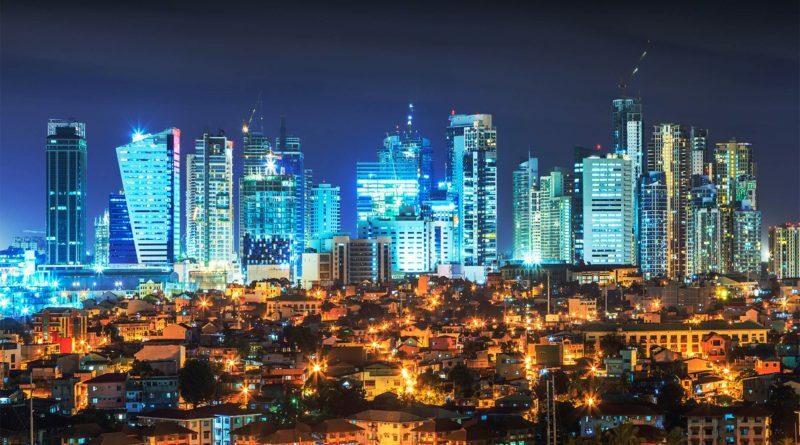 MERALCO spent PhP13.7 billion on capital expenditures in 2018 to address critical loading of existing facilities and to support growth in demand and customer connections. San Buenaventura Power Limited, a joint venture between MGen and a subsidiary of Thailand’s EGCO Group, is developing a 455 MW (net) supercritical coal-fired power plant in Mauban, Quezon. Construction is proceeding as scheduled, with commercial operation due in the third quarter of this year. The plant capacity is contracted under an ERC-approved Power Supply Agreement (PSA) with MERALCO. There is no reportable progress on the numerous PSAs still with ERC for approval. We are increasingly concerned about the risk of power shortages in the future given the continuing increase in power demand as our economy grows. MERALCO continues to work on its strategy of building a diversified power generation portfolio of high efficiency, low emission coal-fired plants and renewable energy sources. Global Power sold 4,822 GWH in 2018, an increase of 8% from a year earlier. However, core net income for 2018 declined 15% to PhP2.5 billion due to depreciation and interest costs for Panay Energy Development Corp.’s 150 MW plant from June 1, 2018 onwards and lower margins from WESM sales due to higher coal and fuel costs. Alsons Thermal Energy Corp., in which Global Power has a 50% interest, is on track to commence operation of its second 105 MW (80 MW contracted) expansion plant in Maasim, Saranggani by the second half of this year. Global Power plans to invest in renewable energy projects to complement its current fossil fuel capacity. In November 2018, MPIC through its wholly owned subsidiary Metpower Venture Partners Holdings Inc. signed agreements with Dole Philippines Inc. to design, construct and operate integrated waste-to-energy (WTE) facilities specifically for Dole. This project uses the derived biogas from the anaerobic digestion of fruit waste to supply a portion of the diesel and power requirements of Dole’s canneries located in South Cotabato. The biogas facilities, with construction completion expected by first quarter of 2020, will generate 5.7 MW of clean energy for Dole and reduce its CO2 emission by 100,000 tons per year. With no comparable proposals to challenge the Quezon City Solid Waste Management Facility Project, the MPIC-led consortium with Covanta Energy, LLC and Macquarie Group, Ltd. expects to receive the Notice of Award by first half of 2019. The waste treatment facility will convert up to 3,000 metric tons a day of municipal waste into 36 MW (net) of electricity. Metro Pacific Tollways Corp. (MPTC) recorded core net income of PhP4.5 billion in 2018, a 13% increase from PhP3.9 billion a year earlier. MPTC’s system-wide vehicle entries averaged 916,886 a day, including road networks in the Philippines, Indonesia, Thailand and Vietnam. Average daily vehicle entries for all three of our domestic tollways system (NLEX, CAVITEX and SCTEX) rose 7% to 478,315 compared with 445,350 in 2017. Traffic rose 7% on the NLEX and surged by 15% on the SCTEX following integration of these two roads and the opening of additional lanes in 2017. Traffic on the CAVITEX rose 5% driven by growth in residential communities in Cavite and tourism in Batangas. MPTC expects to spend approximately PhP104.3 billion on road projects over the next five years, although this figure could rise by a further PhP25 billion if MPTC were to secure the Cavite-Tagaytay-Batangas Expressway for which it was recently awarded Original Proponent status. The estimates for planned road investments assume satisfactory resolution of various overdue tariff adjustments, now ranging between 20% and 48% on different parts of the network, without which further investment will be delayed. MPTC is waiting for notice to publish increased toll rates for NLEX coinciding with the opening of the NLEX Harbour Link and implemented on a staggered basis. Full implementation of overdue tariff adjustments on all roads has yet to be agreed. DMT in Bangkok reported a 2% increase in daily traffic to 99,479 in 2018. In Vietnam, CII B&R saw a decline in vehicle entries to 33,007 due to the end of the concession for the Rach Chiec Bridge. Traffic is expected to improve again by approximately 32,000 with the opening of part of the Hanoi Highway Expansion later in 2019. Nusantara’s traffic in Indonesia averaged at 306,085 vehicle entries per day in 2018. In July of 2018, MPTC increased its interest in Nusantara from 48.3% to 53.3% on a fully diluted basis. This step-up acquisition triggered the need for a General Offer which further increased MPTC’s ownership of Nusantara to 77.9%. MPIC’s water business comprises investments in Maynilad, the biggest water utility in the Philippines, and MetroPac Water Investments Corp. (MPW), focused on building new water businesses outside Metro Manila. The water segment’s contribution to core net income amounted to PhP3.8 billion in 2018, most of it from Maynilad. In September 2018, MWSS approved Maynilad’s Rebasing adjustment for the Fifth Rate Rebasing Period (2018 to 2022) of PhP5.73 per cubic meter which will be implemented on a staggered basis over four years. In 2015, Maynilad received an arbitration award in its favor against the Metropolitan Waterworks and Sewerage System (MWSS), which centered on treatment of corporate income tax as an expense to be recovered through the tariff. The dispute on implementing this tariff is working its way through the Philippine Court System with MWSS now seeking recourse to the Supreme Court following awards in Maynilad’s favor by lower courts. On 24th July 2017, Maynilad was notified by an arbitration panel in Singapore that it had ruled in Maynilad’s favor on its claim to recover from the Republic of the Philippines (RoP) revenues forgone because of the failure to increase tariff (PhP6.7 billion as of December 31, 2017). On October 4, 2018, the Singapore High Court upheld the award in favor of Maynilad and dismissed RoP’s Setting Aside Application in February 2018. Maynilad is striving to meet its service obligations but financing these requires resolution of the remaining claim and tax recovery matters. Maynilad’s revenues in 2018 rose 6% to PhP22 billion from PhP20.8 billion in 2017, lifted by a 3% increase in volume sold and a combination of basic and inflation-linked tariff increases of 1.9% in April 2017, 2.8% in January 2018 and 2.7% in October 2018. The number of water connections (or billed customers) rose 4% to 1,407,503 at the end of 2018.
core net income for 2018 rose 5% to PhP7.7 billion, driven by revenue growth, lower provisions and lower interest expense. Non-revenue water (NRW) measured at the district metered area level fell, to 27.1% as at the end of 2018 from 31.7% at the end of 2017 while total NRW is now down to 38.5%. Capital expenditure stood at PhP11.9 billion in 2018, much of it directed to upgrading and building reservoirs and pumping stations, laying primary pipelines, and constructing wastewater facilities to improve public health. For the Fifth Rate Rebasing Period, Maynilad is set to build three new sewage treatment plants and upgrade one sewage treatment plant. Once completed, these new wastewater facilities will be able to serve approximately 2 million customers. Outside the Maynilad concession which currently bills 1,444 million liters per day (MLD), MPW currently bills 253 MLD. MPW is expanding MPIC’s water investment portfolio with up to 393 MLD of installed capacity in the Philippines and 660 MLD in Vietnam, when these projects are completed. A further 430 MLD of projects around the Philippines are under negotiation and awaiting final award. MPW’s contribution to MPIC is currently immaterial but as these new projects are completed, it is expected to become a major profit contributor. Metro Pacific Hospital Holdings Inc. (MPHHI) reported a 14% rise in aggregate revenues in 2018 on the strength of an 8% increase in out-patient visits to 3,323,104 and 11% growth in in-patient admissions to 193,824. Investments made in Jesus Delgado Memorial Hospital in Quezon City and St. Elizabeth Hospital in General Santos City in 2017 contributed significantly to this improvement. On 1st August 2018, MPHHI increased its ownership in Davao Doctors Hospital (DDH) from 35.16% to 49.91%. MPHHI is rolling out improved patient care across its network of hospitals and establishing new service centers in the communities it serves. This is bringing new patients to our network, but startup costs for some of these new programs restrained growth in Core Income to 15%. As at December 31, 2018, LRMC had successfully restored 35 Light Rail Vehicles (LRVs), bringing the total available LRVs to 112 from the 77 it inherited in 2015. The resulting surge in available capacity has reduced passenger waiting time to 3.45 minutes during peak hours from more than five minutes when LRMC took over. The majority of the PhP750 million Station Improvement Project has been substantially completed with remaining work expected to be finished by mid-2019. LRMC is currently undertaking pre-construction preparations for the LRT-1 Cavite Extension. On-site construction works will begin this year but long-overdue tariff increases must be resolved to make this financeable. LRMC served an average daily ridership of 458,021 in 2018, an improvement of 5% from a year earlier while the highest daily ridership was 613,000, up from 578,000 a year earlier. LRMC contributed PhP394 million to MPIC’s Core Income for 2018. Metropac Movers Inc. (MMI) is now an established force in the Philippine logistics sector. Average warehouse dispatch for 2018 rose 3% to over 60.2 million cases from 58.7 million cases last year. The focus of this business is to provide our clients with first-class transportation, warehousing and order fulfillment as we broaden our service offering to include cross docking and freight forwarding. MMI has acquired over 400,000 square meters of land in Cavite and Bulacan for developing into covered warehouse space to be utilized by MMI to build the leading logistics firm in the Philippines. MMI is not yet contributing to MPIC’s core net income as our focus has been on getting established and building a best-in-class customer service platform and culture.